Tigrai Online is a truly Tigraian web site, We don't sugarcoat the truth; we serve it as it is!. I would like to write this letter in response of your letter dated: August 23, 2006 to His Excellency Mr. Meles Zenawi, Prime Minister of the Federal Democratic Republic of Ethiopia. I read your letter with no interest and no amusement. You and your organization has become blinded by political Ethiopians in the diaspora that have spent thousands of dollars and hours trying to oust a legitimate government by means other than the ballot box. The Committee to Protect Journalists is deeply concerned about prison conditions for journalists Eskinder Nega and Sisay Agena, who CPJ sources say are suffering from harsh treatment and deprivation without judicial review. The letters and statements coming from opponents of the government and from your organization are not only a bunch of politically and ethnically motivated writings but a waste of time for His Excellency and staff. You see, what you and the �others� don�t understand is that Ethiopian Government officials, especially the Prime Minister, do not have the time or patience to read letters addressed to them that have no tangible examples to back up their statements. The Prime Minister is a very busy man; and he is not in the position to be reading your letters as well as the so called CUD North America. I know that I am in no position to be speaking on behalf of the prime minister or his government; however, I am in the position to speak as an Ethiopian who is sick and tired of the diaspora�s behavior. It is my belief that the Ethiopian diaspora has no right whatsoever to be in the internal business of Ethiopians. 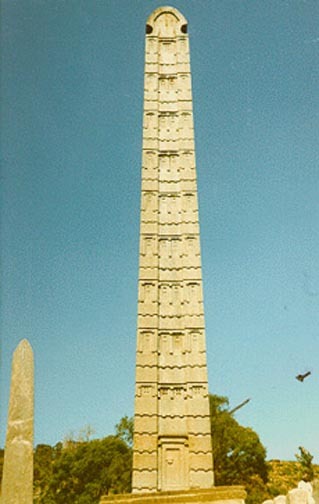 The internal business of Ethiopians is true to its name; it is internal, meaning for the Ethiopians to settle. The Ethiopian diaspora, especially under the name �Coalition for Unity and Democracy� and now �Alliance for Freedom and Democracy� are responsible for the post-election unrest of June and November of 2005. It was their political intention to have unemployed youth killed by the government and blame the government. The diaspora bribed these unemployed youth, desperate of jobs and money, with 50 dollars (half their year dollar equivalent) burn busses and loot shops. Now, you and your organization have gone out of your way to make allegations and statements �sources� have told you. How reliable are these �sources�? Are you sure they are non-partisan, or is it a �trust and leave� thing? I hope that you find it in you and your organization to put credibility and honestly at the top of your agenda and politically blind Ethiopians at the very bottom. As a civic organization, your duty is to be non-partisan and credible. So get on the track! I look forward to a reply at ato.gebreselassie@gmail.com.